A miner who allegedly stabbed and killed a labourer after he was confronted over the killing of the man’s sister 10 years ago was this afternoon charged with murder. 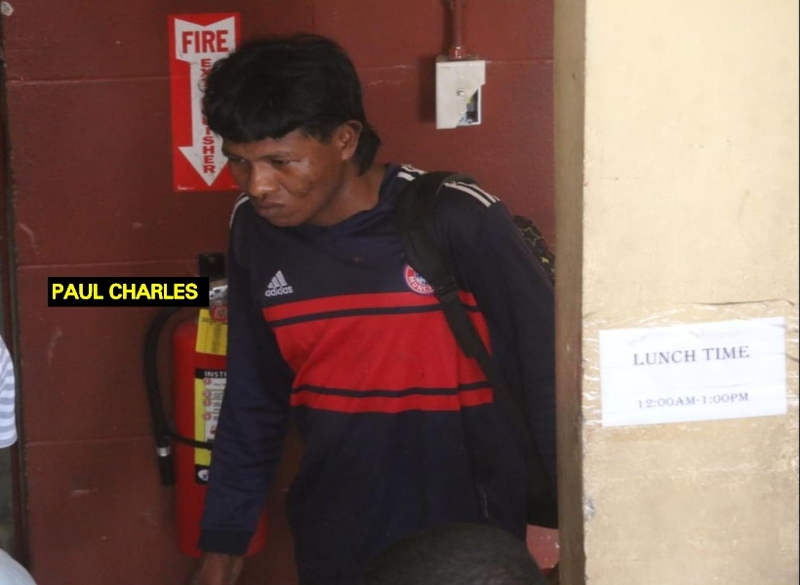 Paul Charles, 32, of Foulmouth, Essequibo, was not required to plead to the indictable charge which stated that, on February 2, 2019, at Foulmouth Village, Essequibo, he murdered Cedrick James. The unrepresented man appeared before Chief Magistrate Ann McLennan in the Georgetown Magistrates’ Courts. According to information, on the day in question, Charles and Williams were imbibing ‘high wine’ at the Foulmouth, Essequibo landing, when the incident occurred. It was stated that Charles became annoyed when Williams asked him if he killed Williams’ sister 10 years ago. An enraged Charles stabbed Williams in the neck with a knife then fled the scene. Williams was picked up in an unconscious state and taken to the hospital, where he was pronounced dead on arrival. It was reported that Charles was implicated in the 2009 strangling of Williams’ sister, Patricia Williams, whose half-naked body was found at the Foulmouth foreshore. The woman, a boat operator, was slain shortly after taking the suspect and others from Bartica to Foulmouth, Essequibo.